We saw a cold-brew drip method at the London Coffee Festival in 2014 and this method seems to us to get close to that idea. 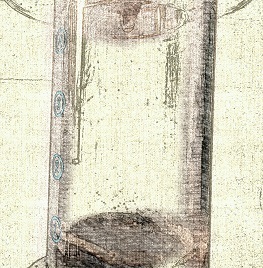 -Assemble the AeroPress with 2 filters in the bottom chamber on the mesh cap. 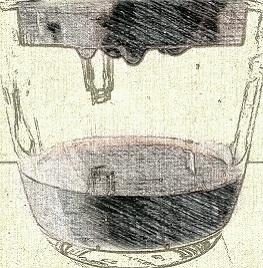 Using 2 filters will slow down the drip a little. 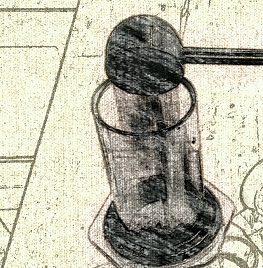 -Place the lower tube of the AeroPress on top of your mug (you don't use the upper plunger for this). Then add your ground coffee. to a Fine Filter Grind: reasonably fine sand consistency. 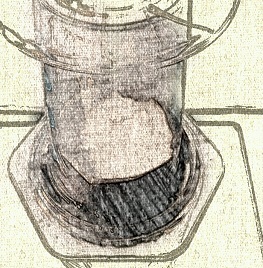 -This is the tricky part: place another AeroPress filter onto the top of the coffee grounds. You could try cutting it (but not easy to get right), or wetting it to help, but we just pushed down a dry filter and with the paddle (or a spoon) ensured it was placed right ontop of the coffee grounds. 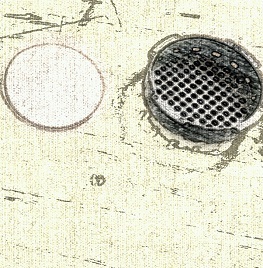 This helps to distribute the water across the coffee grounds rather than just dripping through the centre. (it has to be this one to fit with the AeroPress tube - which is handy as it makes the kit cheaper, and prevents top-heavy stability issues!). 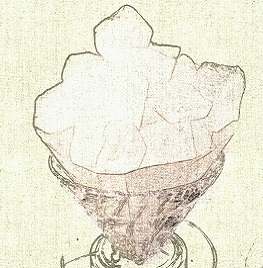 -Then: Add icecubes into the top of the V60: we used around 200g to 250g of ice. and about 75 minutes for the first drip of coffee to hit the mug. -Monitor some of the dripping if you choose, checking the top filter is doing its job OK, but basically you can let it do it's thing for 5 to 7 hours before all the ice melts! -If you are ready for a stongly brewed Cold Brew go for it! -Let us know how you get along, and what proportions of coffee and ice you use. Tweet us @artistrycoffee, or message us on facebook, instagram, or Google+, or via coffeeforums.co.uk. This guide is only a guide: based on what we have found to work - take care with your own experiments and let us know how you get on. The Ice-Drip Kit from Artistry Coffee.